Dr. Bruce Trathen is Harley Street’s leading addiction consultant psychiatrist. With an extensive background working for the NHS and private sector over the past 25 years, he’s also a widely published author on the subject of alcohol addiction. As the founder of the Harley Street Addiction Clinic and a Consultant Addiction Psychiatrist for The Nightingale Hospital and other rehabilitation clinics in London, Dr. Bruce offers services that can transform the lives of his patients and their families. Setting up his own practice, Dr. Trathen required a website that offers users a trustworthy and no-nonsense interface. Being an exceptionally well regarded and highly recommended medical professional means that you are never short of patients. But, being able to spread the word about the services you offer and your unique area of expertise in a transparent, intelligent and effective way can be hard to do by word of mouth. 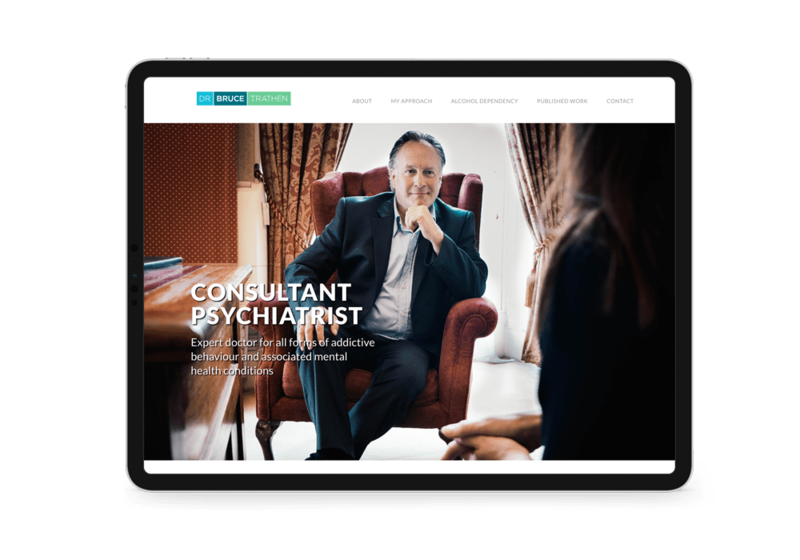 We worked with Dr. Trathen to establish the site’s domain name, drbruce.co.uk which reflects his personal programme of care and his one-to-one nature with his clients. A far cry from intimidating corporate care, the domain name is instantly reassuring. We worked with the design firm WeAreDetail to build a website on the WordPress platform. It has been built as a single-page website, making it easy to maintain and even easier for users to get access to the information they require. The content is most definitely the key to ensuring that this website is able to not only raise the client's profile, but also to inform potential patients of the effective treatments for a wide range of addictions and related mental health issues he has to offer. When approaching this potentially delicate subject matter, we needed to ensure that the message remained clear and clinically correct, whilst still being presented in an affable and non-threatening way. Being able to gain the trust of the visitor using just a single page has never been as important as it was when building this website. We didn’t want to blind visitors to the website with medical jargon or complex choices, so instead, we kept the navigation and page layout simple, but effective. A welcome smile from the doctor himself, content that is easy to understand without being patronising, and obvious and accessible calls to action make this an incredibly user-friendly site. Despite the small size of the website, the nature of the content was a compelling reason to strive for high rankings in Google search engine results. 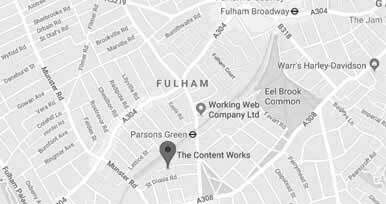 Using highly researched keywords and phrases, we took our time to find ways to help the website rank well in order to not only maximise hits and conversions but also to help those in need to be able to find him. Briefed, built and completed in just 6 weeks, this was a rewarding website to work on.